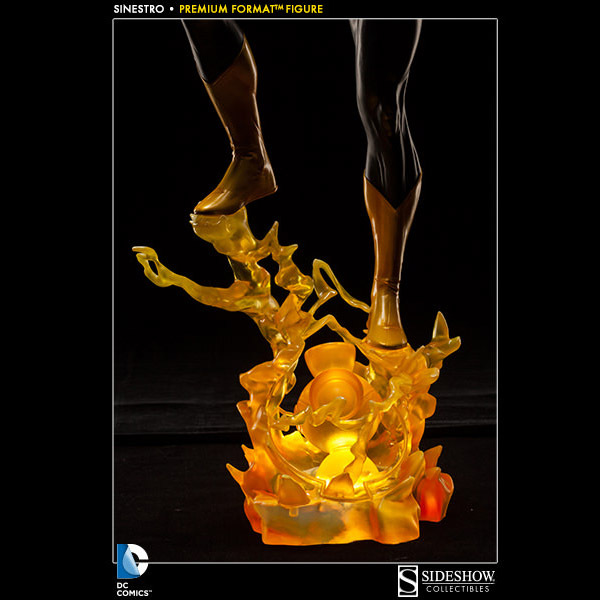 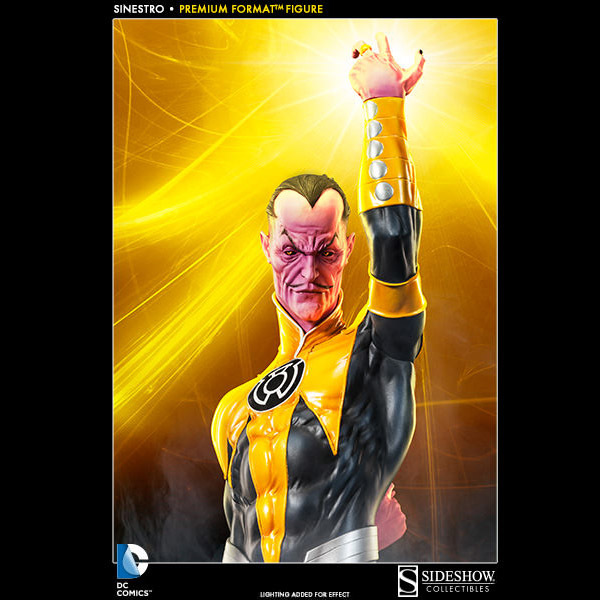 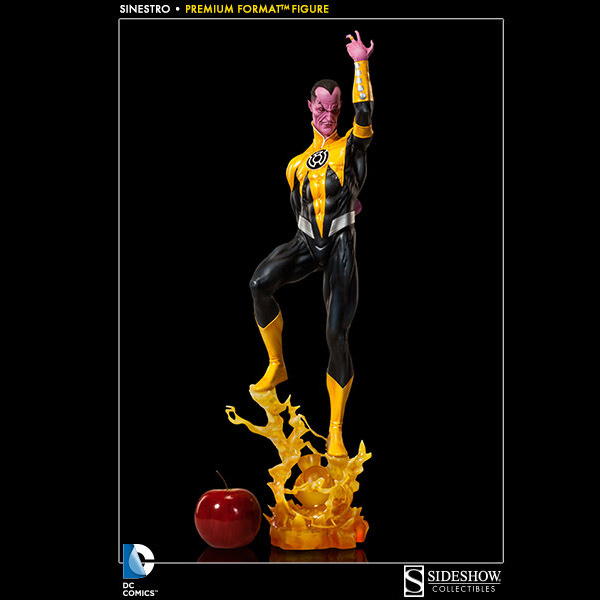 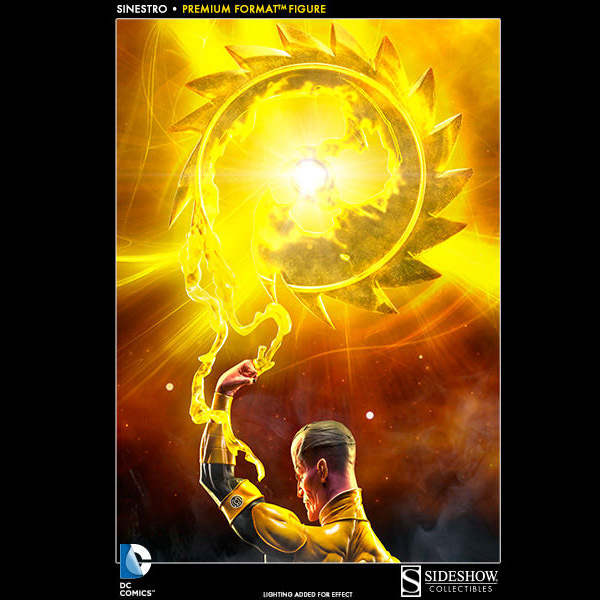 The Sinestro Premium Format Figure captures the emperor of fear himself, Thaal Sinestro. 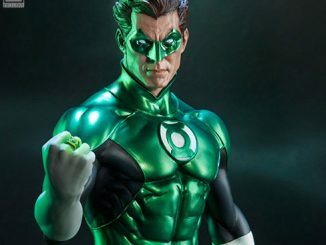 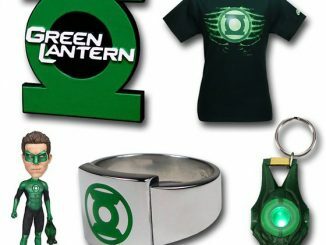 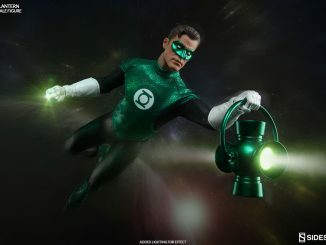 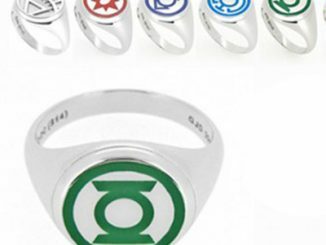 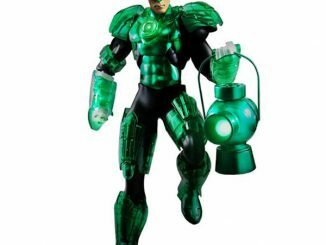 Once he was a shining emerald star in the Green Lantern Corp but Sinestro soon turned to the Dark Side evil, becoming Hal Jordan’s greatest adversary. 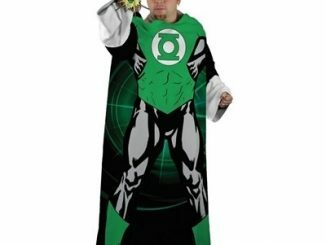 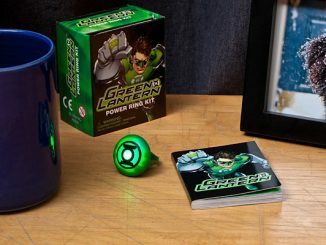 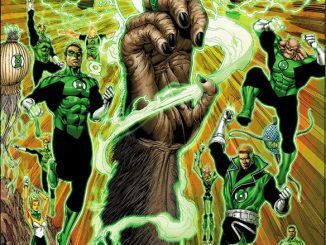 These days, Sinestro isn’t the baddie he used to be, occasionally using the power of fear to aid Green Lantern and other heroes to protect the universe. 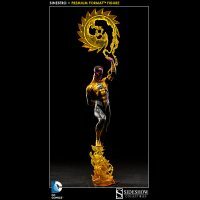 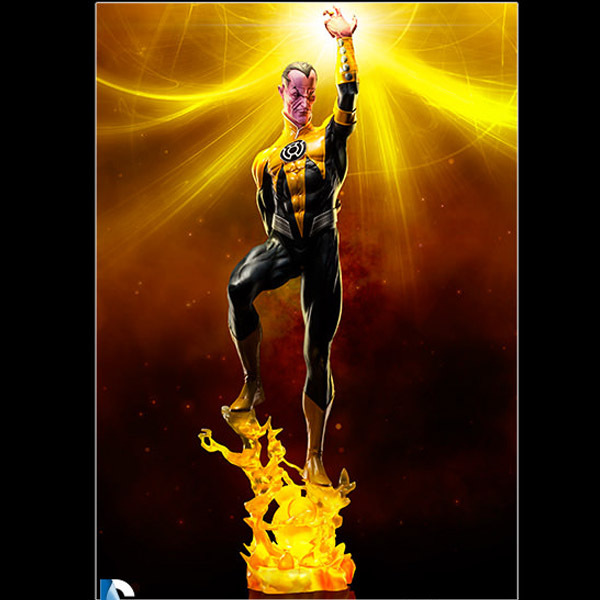 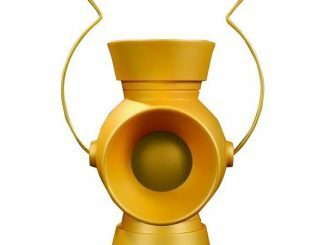 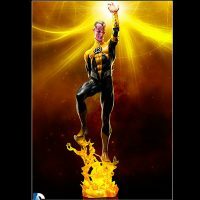 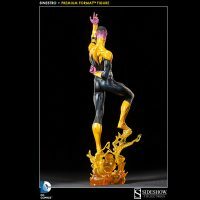 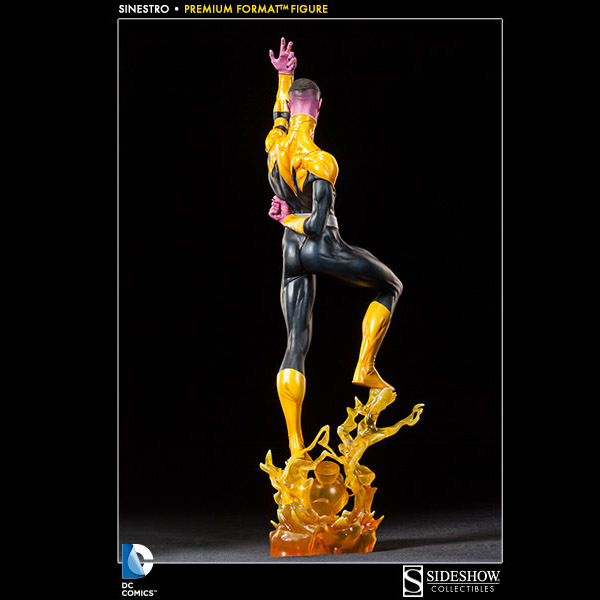 This 34.5-inch-tall statue (25.5-inches without base) features the leader of the Sinestro Corp standing on top of an energy construct created around a yellow lantern. 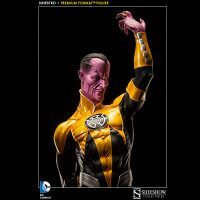 A saw blade construct is also included, allowing Sinestro to create one of his many fear-inducing devices with his yellow power ring. 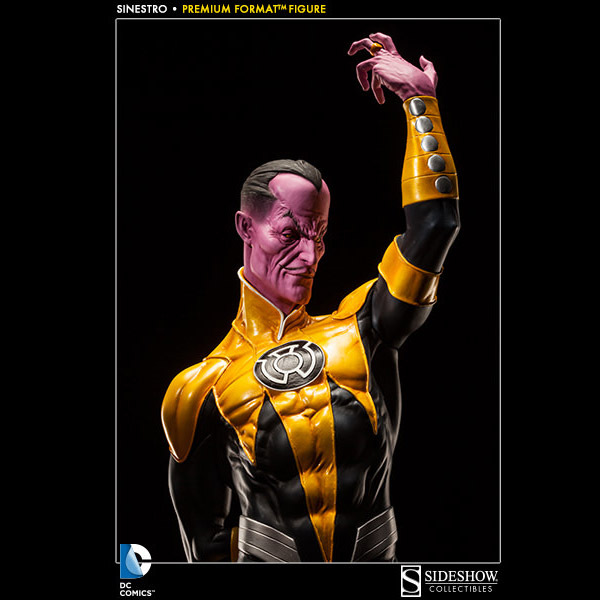 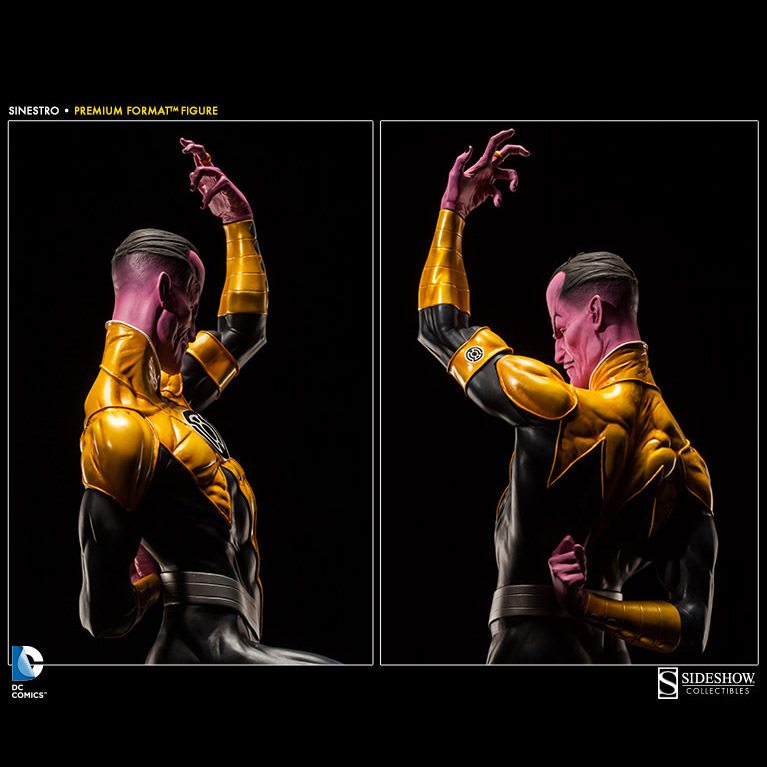 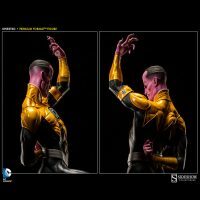 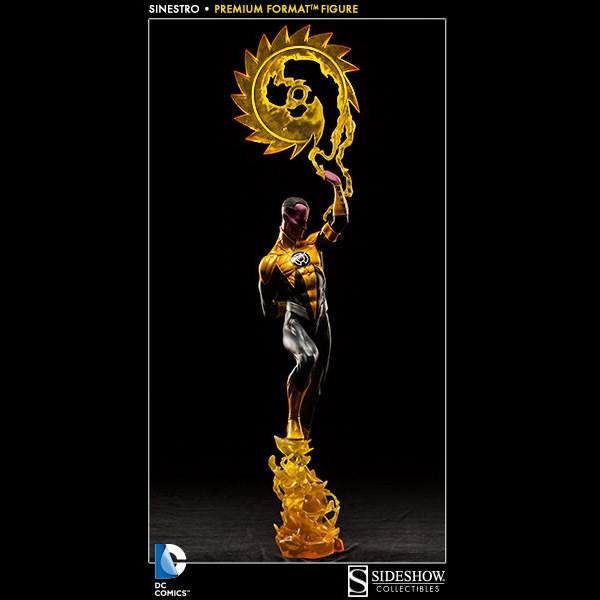 Limited to just 1000 pieces, the Sinestro Premium Format Figure is available for $399.99 at Sideshow Collectibles.